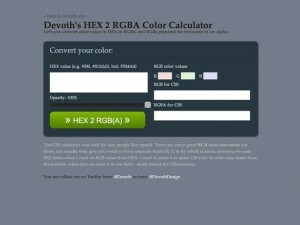 ColorHexa.com is a free color tool providing information about any color. 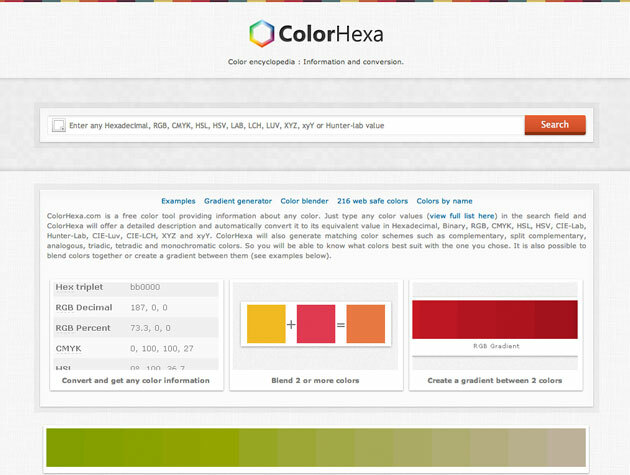 Just type any color values in the search field and ColorHexa will offer a detailed description and automatically convert it to its equivalent value in Hexadecimal, Binary, RGB, CMYK, HSL, HSV, CIE-Lab, Hunter-Lab, CIE-Luv, CIE-LCH, XYZ and xyY. ColorHexa will also generate matching color schemes such as complementary, split complementary, analogous, triadic, tetradic and monochromatic colors. So you will be able to know what colors best suit with the one you chose. It is also possible to blend colors together or create a gradient between them.